Completing easy to-do tasks online. With free and flexible schedule. Total of registered colaborators that build a big community around the world. Each minute counts! Earn up to € 15 an hour transcript! With only one hour a day, from Monday to Friday. 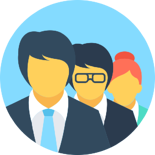 Atexto works for multiple companies from small startups to public companies. They send us audio or video files to request their verbatim transcription to text. Our community of colaborators listen to these audios and transcribe them into text. Once we check that your work is correct, we paid you weekly via PayPal! Atext is real, sometimes it takes a little delay with the payments but it always complies. The money you earn will depend in most cases on your skills and dedication to the platform. As a tip, I recommend that you accumulate at least 10 euros in your account so that the Paypal commission does not consume much of what you withdraw. It only requires learning Grammar and reading the tutorial to get more points in your final evaluation and earn more money. The work consists of transcribing small audio fragments following the guidelines of the Transcription Guide. It is not a translation work, it is a transcription work, so you should never translate what the speakers say. Sometimes you will have to start transcribing from scratch; other times, you will see an initial text on the screen and you will have to change what is wrong, add what is missing and remove what is left over. Most recordings last a minute - although sometimes they can last a little longer - and you always have a 30 minutes to complete the task. You will not use Microsoft Word or download audio files to your computer, all work is online. How much, how and when is it paid? The amounts of money you receive vary with the difficulty of the audio, the quality of your work and other factors. At all times you will see the amounts offered when entering your account. The pay you receive is proportional to your contribution to the final transcript. To receive the 100% of the payment, you must have transcribed the fragment from scratch and without making any mistakes. At the other extreme, if you only checked that there are no errors but it turns out that there were, then your pay is zero because the effort we make to correct the errors you send us is greater than your contribution to the final transcript. They must be recorded literally each of the words of each person in the recording, respecting their language and dialect, and correctly including hesitations, false starts, interruptions, voice overlays, and so on. If the speaker is expressed in Catalan, you must transcribe in Catalan. If you express yourself in English, you must transcribe in English. If it says "you", you must transcribe "you". If you speak of "vos", you must transcribe "vos". Do not write "you" when the speaker says "vos" or vice versa, and do not translate from one language to another. 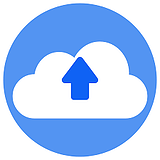 If you find an English recording that has been transcribed into Spanish, either in some terms or the whole fragment, you should delete the translated parts and transcribe in the language of the recording. 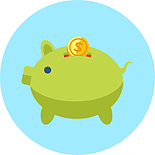 Transcribing from scratch and in the correct way, your contribution will be much higher and therefore you will receive a higher payment. When my transcripts will be corrected? All transcripts are thoroughly corrected before being sent to the final client, because we want our transcriptions to be perfect: 100% accurate and without any errors. Most of the time we took a few hours to do it, other times we delayed a few days and very, very few times it took us a few weeks. Meanwhile, you can make as many transcriptions as you like, you do not have to wait until all your transcriptions are corrected. After we have corrected your transcript, you will see the result in My Profile. The idea is that you can learn from the mistakes made and do better next time. Keep in mind that the fewer mistakes you make, the more money you make. 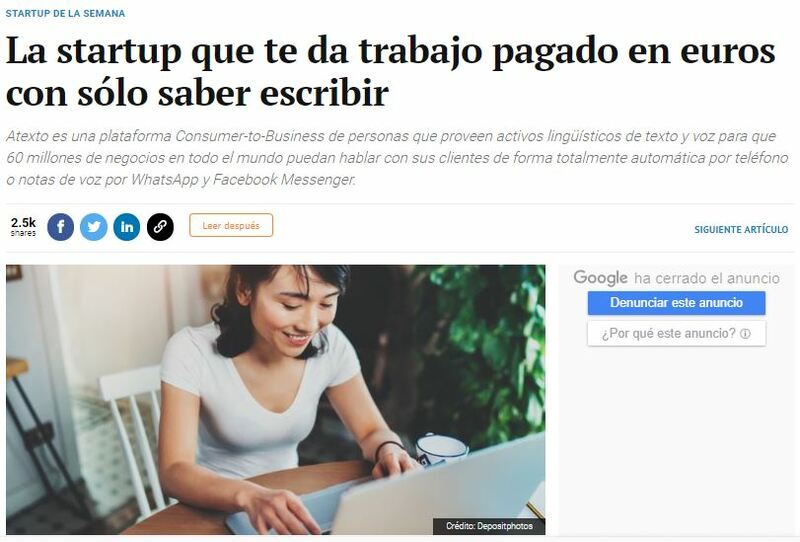 Can I work from my country? There are no country restrictions to work at Atexto. You can work from your place in the world, in the schedule that you choose and when you want. Atexto is a platform for people working remotely transcribing audio recordings online. 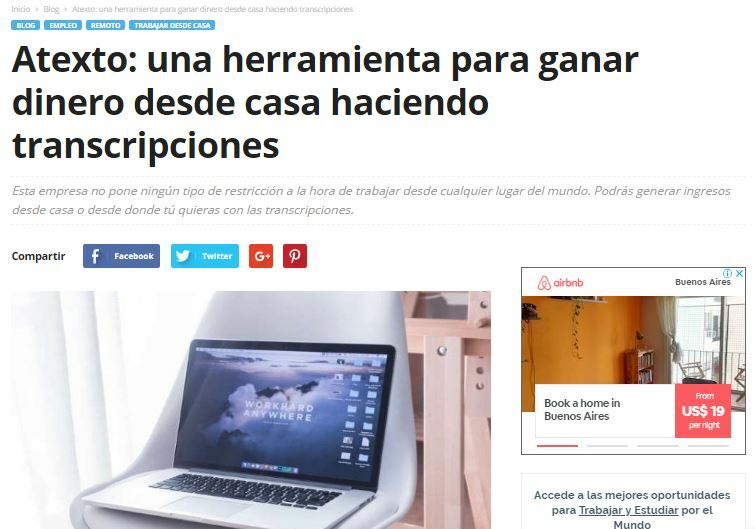 It has more than 190.000 users coming mostly from Argentina, Colombia, Spain, Mexico, Venezuela and 20 more Spanish-speaking countries, of all social and cultural extracts, whose main interest is to work to contribute to its economy family and learn the trade of transcribing while they do it. At Atexto we do not take admission tests, you start working when you want! 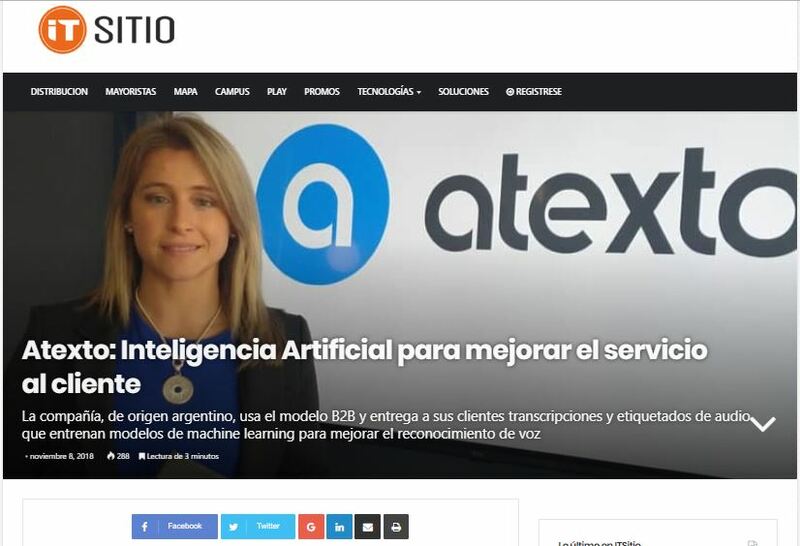 Atexto is a site and trademark of Quiero Quierolo, Incorporated, a company registered in the United States of America.